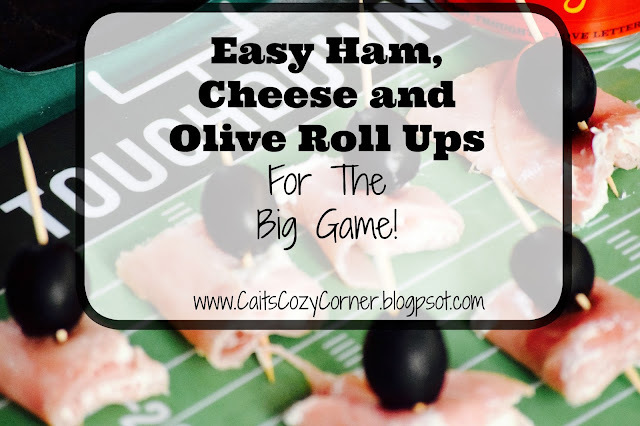 Cait's Cozy Corner : Easy Ham, Cheese and Olive Roll Ups For The Big Game! Easy Ham, Cheese and Olive Roll Ups For The Big Game! Being 5 months pregnant has it's advantages and disadvantages. Of course, the fact that I'm just growing our second child is clearly a blessing but seeing as this time we're having a boy, I can't seem to stop eating! One of my favorite things to eat right now are salty items like olives. specifically Linsay Olives. They are so juicy, full of flavor and I probably ( scared to admit ) could eat an entire jar of them. But really..you could because they have no artificial coloring, flavor or preservatives. Okay but enough about me consuming all these olives. How about for those of you that may not be a huge fan of them but love how they look with a super simple appetizer?! I know I can tend to scramble at the last minute so the best part about these are you probably have them in your fridge at home and can make them up in minutes! ( cue heart emojis ! ) 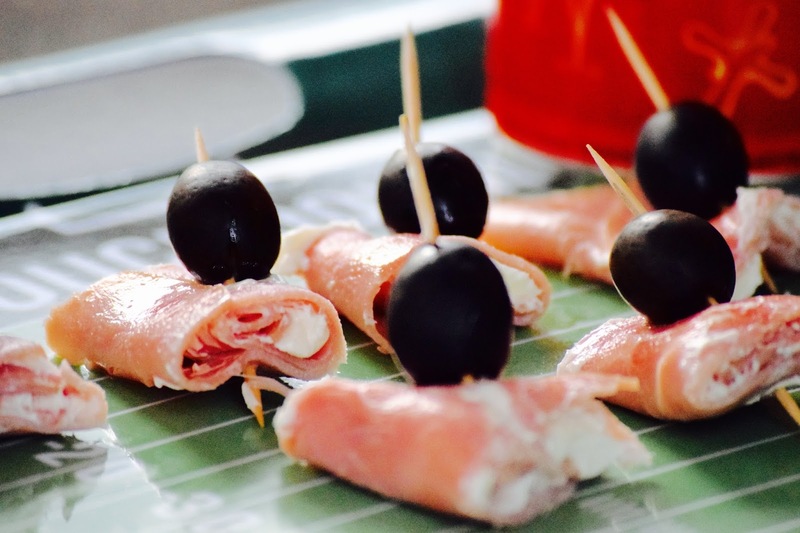 Here what you'll need to make these delicious ham, cheese and olive roll ups! 5. 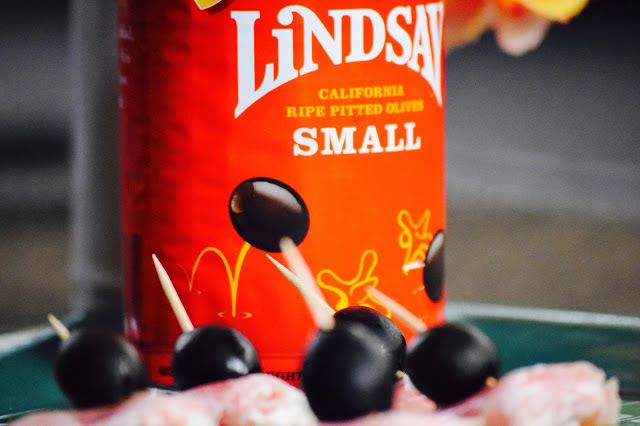 Stick a Lindsay olive through the tooth pick, serve and enjoy! Want to know a fun secret? You can actually use code GAMEDAY to get 25% off your online purchase! Not sure where to purchase them, go ahead and try this locator out to find one near your home! 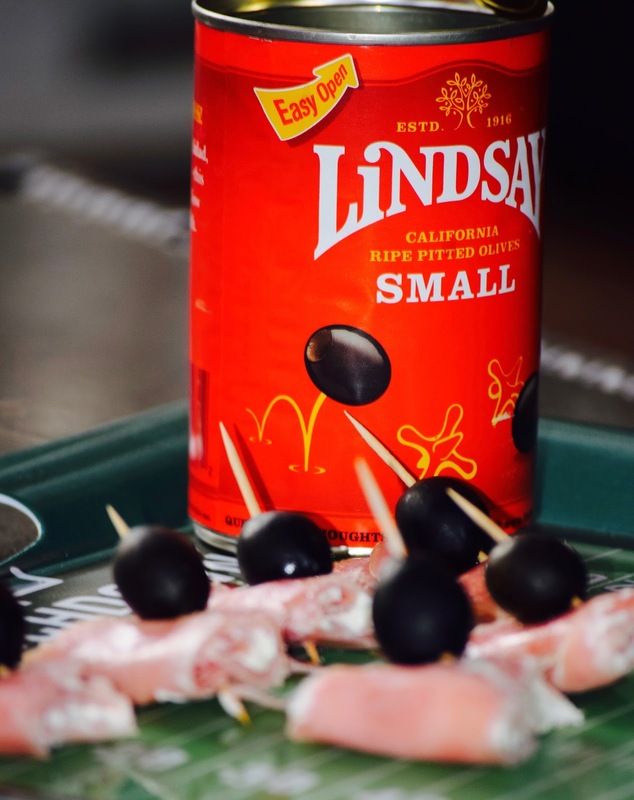 And just to make it even more exciting, you could get $1 off coupon by becoming a Club Lindsay Member as well as other deals! 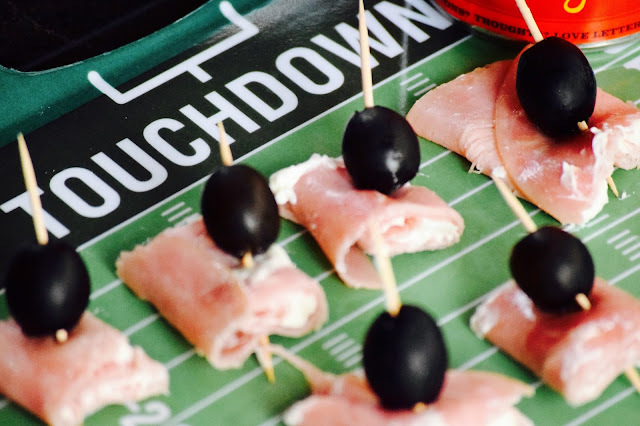 You don't want to miss out that's for sure and they'll be a hit at your next game day party with your friends and family! 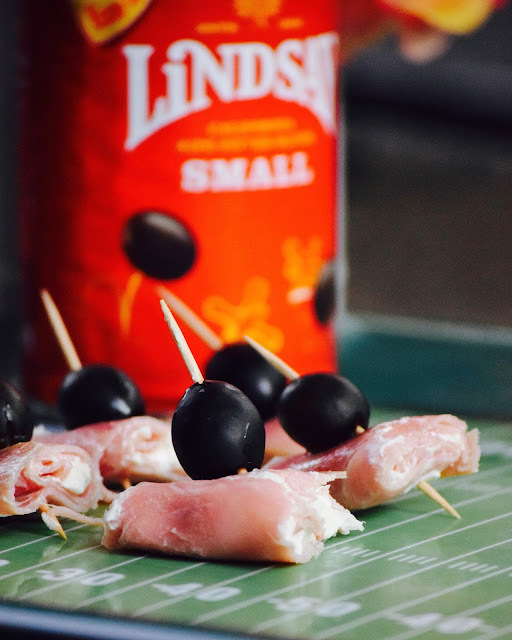 What are some of your favorite apps to create for the big game?